A couple weeks ago, One Drop participated in the DiabetesMine D-Data ExChange in San Francisco, California. The D-Data ExChange is an invitation-only gathering of key innovators creating hardware and software to improve the lives of people with diabetes. Diabetes is a sea of meters, pumps, CGMs, trackers, and a slough of software. All of these things must be well-designed — simple, intuitive, helpful and humane. Sara Krugman from Tidepool.org is all about creating humane experiences with technology. She designed the interface to the first bi-hormonal insulin pump and started and ran a healthcare design consultancy, Line, before becoming the Lead Designer for Tidepool. 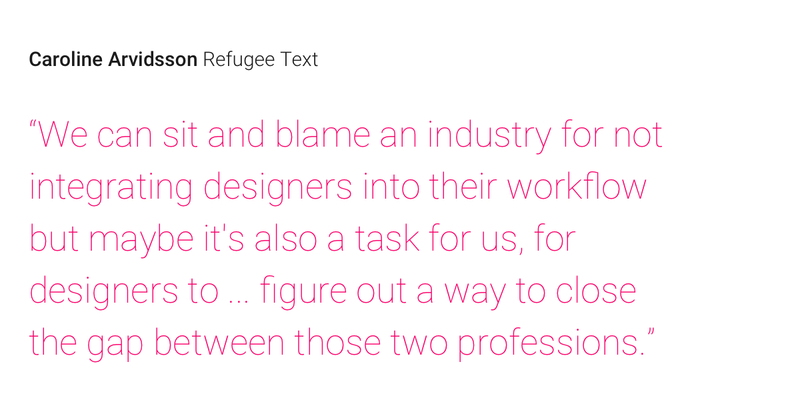 We sat down with Sara and her colleague, Caroline Arvidsson, who is the Lead Designer at Refugee Text and an expert in empathizing and connecting with end users in the design of digital products. Both Sara and Caroline are on the faculty at the Copenhagen Institute of Interaction Design in Denmark. How do companies design for diabetes? Sara: There's nuance in behavioral things and personalization. You can't do one size fits all. Caroline: It's a thing to talk about users and say what will our users think about this, how will they use this and have assumptions. It's another thing to actually go out and meet people where they are, see how they are using something, ask them why they are using it like that and really dig into it to get inspired and bring those insights back. It's a bit of a shift. It's like an extra push. You have to leave your office. One company asked everyone in the room (competitors, users, providers) for feedback on their products, and got a lot of constructive, critical feedback. How unique is that? How valuable is that? And, should more people be doing it? Sara: Yes, more people should be doing it. It was super brave and awesome of them to do that in this forum. It was basically unsolicited and unfacilitated feedback from 120 people with very strong opinions, which is impressive to do. Everybody says yes we do that, but I don't know if they're actually doing it or where it shows up. What's lacking is the documenting and sharing the process of things. But, actual user research to uncover insights and opportunities in a design thinking kind of way, I don't think that happens at all. If you could wave a wand to make the design part of these engines stronger, what would that look like? Sara: A team of like 3 or 4 senior designers at every device and software company. And, from the beginning. You can't build the whole thing and then hire a designer to make it look good. Caroline: We can sit and blame an industry for not integrating designers into their workflow, but maybe it's also a task for us, for designers to ... figure out a way to close the gap between those two professions. Designing products for people with diabetes is a privilege and an art. It requires the right players. We're lucky to have designers like Sara Krugman and others who are making the experience of living with diabetes better for all of us.